Out of an abundance of precaution, the following schools will remain closed tomorrow, Wednesday, September 27, 2017 due to the active Canyon Fire. All other CNUSD schools will remain open tomorrow and may be placed on inclement weather schedule. 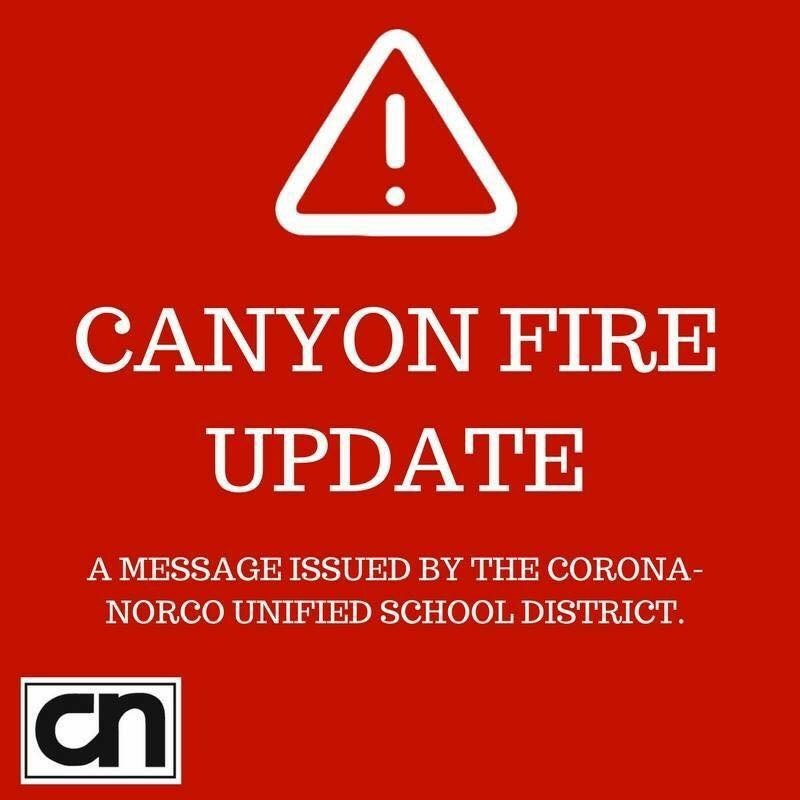 The current school closures are schools that are closest to the active fire and are near the mountain ridge, the closed schools are also the schools that would be most affected by road closures and have a higher risk of evacuation. As we continue to stay in close contact with the fire department, we will keep you apprised of any additional information. This message will also be posted to the District’s website and Facebook page. We want to sincerely thank all of our staff, parents and students for their cooperation.